Fitted for aluminum sheet pans and comes equipped with brakes. 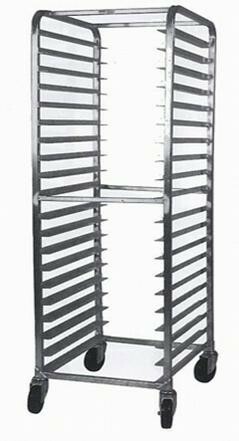 Orlando 20 Tier Aluminum Rack Rental. This Aluminum Rack, or Speedrack, accommodates full sized sheet pans.